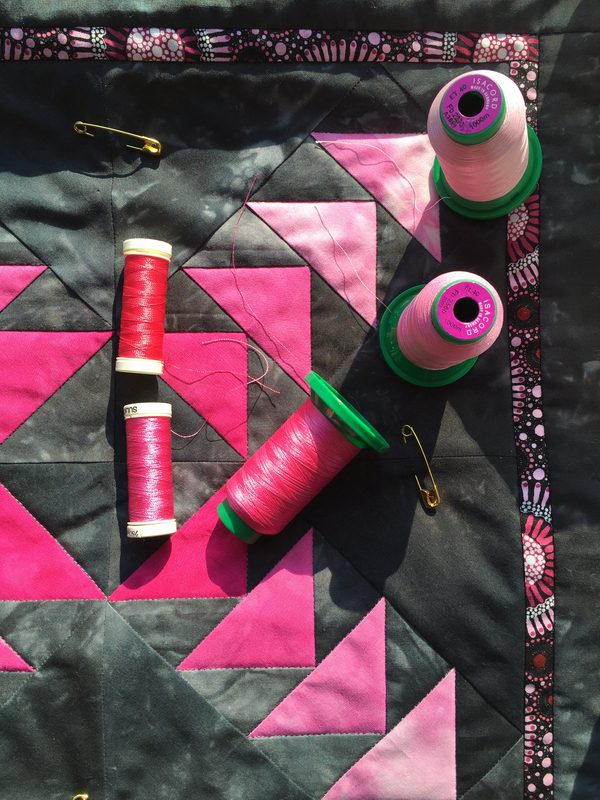 For this quiltlet, I wanted pink thread to match the four different values of pink, so that the quilting would blend rather than stand out. So, I wasn’t just looking for pink; I was looking for FOUR specific pinks. Imagine my shock when I found exactly what I needed right there in my existing thread stash! I have a budding collection of rayon and poly thread for the tiny bit of machine embroidery I do on my BERNINA 730QE. This is where I found the pink. 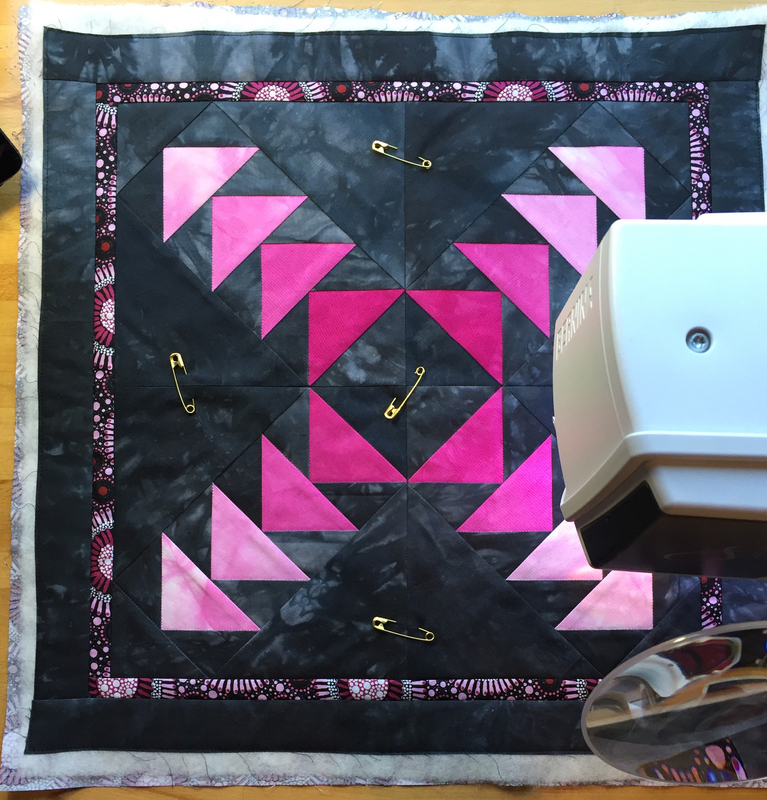 It was all purchased for specific embroidery projects, but it worked nicely for this quilting. 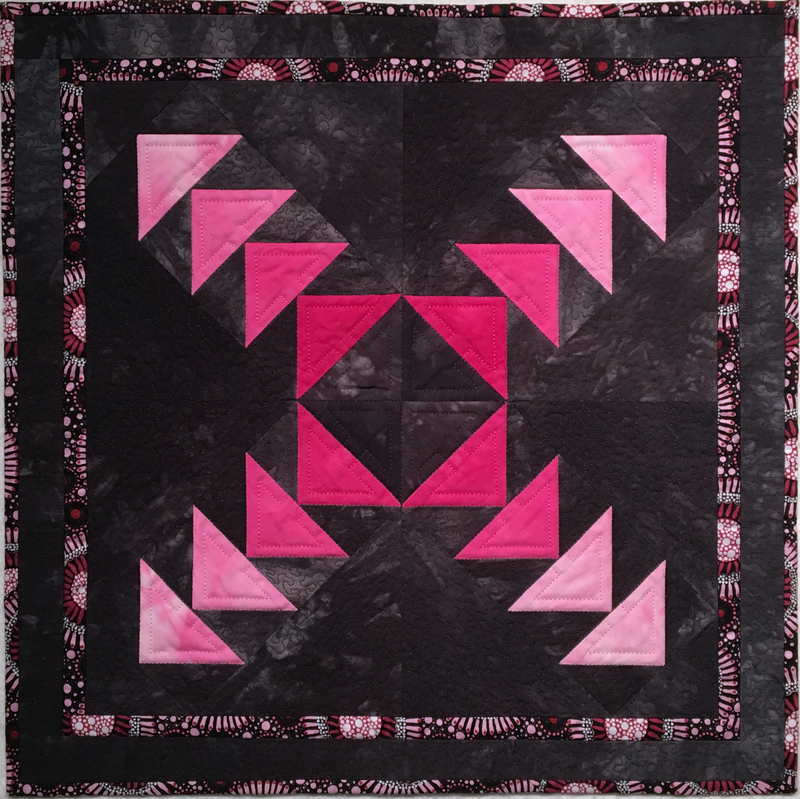 As I pulled the thread, the quilting designs for these flying geese came fully formed into my brain. Look for the arrows. It should always be that simple. If I ever wondered why I’ve given up shelf space for thread that I don’t use on a regular basis, this was it. You are welcome in my studio, spools of cotton, rayon, poly, and monofilament! Someday, you each may be a key player in one of my projects. Here’s the finished class sample! Do I have more pink in my future? You’ll just have to wait and see! At least I have the thread for it.